Beers, Charlotte. 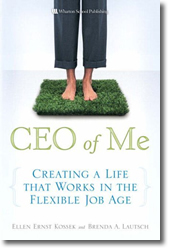 I’d rather be in charge : a legendary business leader’s roadmap for achieving pride, power and joy at work. Vanguard Press, 2012. Charlotte Beers, former CEO of Ogilvy & Mather and Undersecretary of State for Public Diplomacy and Public Affairs from 2001 to 2003, talks about women, leadership, and advertising on Tuesday, April 10, at the Perkins Library’s Gothic Reading Room, open reception at 5 PM, followed by presentation at 6 PM. 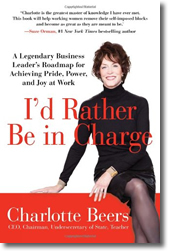 In I’d Rather Be in Charge, Charlotte Beers chronicles her successes and missteps in her trailblazing career in the advertising industry, as she advises women who face their own workplace challenges in achieving positions of leadership. Beers explains that women and men have different leadership styles and while women work hard, they are rarely included in the tight circle of decision makers at the very top of their organizations, a world still dominated by men. Women need to change the way they see themselves and the way they communicate to highlight their own potential. Women also need to choose to be bolder and braver to make their leadership skills obvious to decision makers. Believing that self-knowledge is critical for true leadership, Beers advises women to keep a journal and to consider how family history influences behavior. She also describes ways to identify one’s own inner drives. Beers explains that self-assessment enhances emotional intelligence and magnifies work performance. The latter part of the book is about navigating the world of work, including topics such as, developing and maintaining work relationships, making presentations, and assuming the lead. 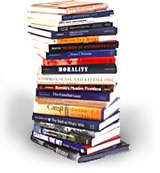 Written in a conversational tone, this book is engaging and thought provoking to the end. 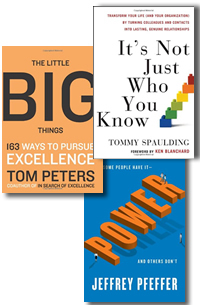 Three new books in the Ford Library collection are designed to power your career to the next level. Pfeffer, Jeffrey. Power : why some people have it–and others don’t. HarperBusiness, 2010. Stanford professor Jeffrey Pfeffer shows that good performance on the job is not enough for career success. People who are more skilled politically are perceived to accomplish more on the job, and achieve more in their careers, than their less savvy coworkers. Pfeffer describes personal qualities that bring influence, such as confidence and empathy, and shows how to build personal networks. He discusses how to speak with power and to project confidence so that others will be inspired to follow. Spaulding, Tommy. It’s not just who you know : transform your life (and your organization) by turning colleagues and contacts into lasting, genuine relationships. Broadway Books, 2010. 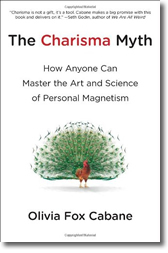 In his book, Drive, Daniel Pink names the following books as essential for anyone interested in living a life of autonomy, mastery and purpose. Finite and infinite games: a vision of life as play and possibility . by James P Carse. New York : Free Press, 1986. Infinite games with no winner and no end are more rewarding at work and in our relationships. Talent Is Overrated : What Really Separates World-Class Performers From Everybody Else. by Geoff Colvin. Penguin Press, 2010. The secret to mastery is “deliberate practice,” repetitive, mentally demanding work. Flow : the psychology of optimal experience. by Mihaly Csikszentmihalyi. HarperPerennial, 1991. The best moments occur when the body or mind is stretched to the limit. Mindset : the new psychology of success. by Carol Dweck. Random House, 2006. Listen to inner voices that may block your resiliency and interpret challenges as opportunities for growth. 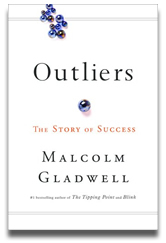 Outliers : the story of success by Malcolm Gladwell. Little, Brown and Co., 2008. 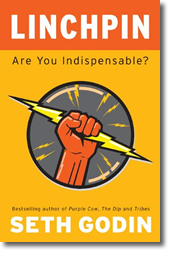 Best selling author of The Tipping Point and Blink, Malcolm Gladwell studied the lives of people whose achievements go far beyond normal expectations to discover what makes people successful. 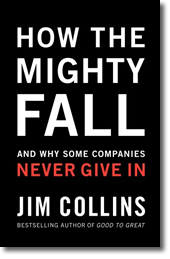 He concludes that success arises out of an accumulation of advantages, such as when and where you are born, or what your parents did for a living. People like Bill Gates or John Lennon were enormously successful, not due to extraordinary talent but because of their extraordinary opportunities. But while they were incredibly lucky, but they also had the strength and intelligence to make the most of their opportunities. In the second part of the book, Gladwell discusses cultural traditions and attitudes that are inherited from forebears. He studied cultural traits such as persistence and expression of respect to determine how much they matter to an individual’s professional success. Not surprisingly, they matter a lot. Gladwell concludes that “success is grounded in a web of advantages and inheritances, some deserved, some not, some earned, some just plain lucky, but all critical to making them who they are.” Like Gladwell’s other books, Outliers is an interesting and easy read, sure to be a blockbuster best seller.